It’s official! “America’s Grandmother” is now an “industry disruptor.” Check out the attached press release. Hysterical. The second printing of 80-year-old Peggy Rowe’s memoir, “About My Mother,” temporarily trumped Bob Woodward’s “Fear” over the weekend to become the number one seller on BN.com and caused havoc at Amazon.com due to the overwhelming popularity of the book. When it originally released this summer, the then self-published title sold 10 thousand copies in three weeks, drawing the attention of publishers including newly-created Forefront Books, helmed by former Howard Books/Simon & Schuster publisher Jonathan Merkh, who acquired it. 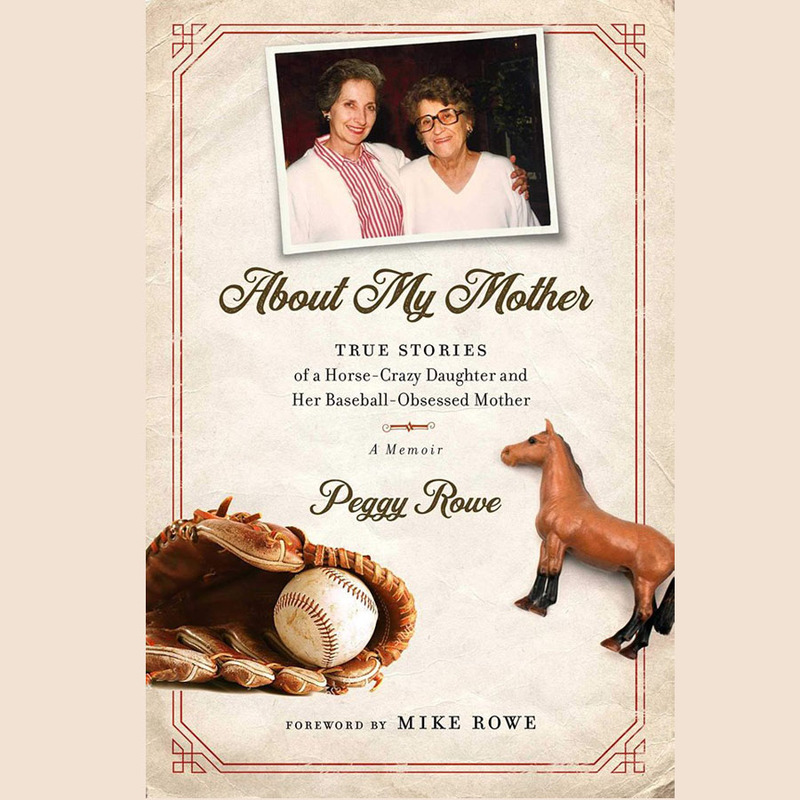 “About My Mother: True Stories of a Horse-Crazy Daughter and Her Baseball-Obsessed Mother” will release from Forefront Books on November 13, distributed by Simon & Schuster. “About My Mother” features a foreword from Rowe’s son – Executive Producer, Show Host, and Podcaster, Mike Rowe, who has helped to make his mother a favorite among his “little Facebook friends” (as coined by Peggy) with a regular bit he calls, “Mondays with Mother,” where he shares her humorous antics with more than 5 million Facebook friends. Mike’s fans have turned out in droves to support “About My Mother,” which now has 76,000+ followers on its own Facebook page in just a few weeks. Within hours of the book’s pre-release on Amazon last week it made numerous bestsellers lists for the online retailer, and received so many orders that the “pre-order” button malfunctioned. Currently, “About My Mother” is ranked in the top 50 of books on Amazon. There’s a Thelma Knobel in everyone’s life. She’s the person taking charge—the one who knows instinctively how things should be. Today, Thelma would be described as an alpha personality. But while growing up, her daughter, Peggy, saw her as a dictator–albeit a benevolent, loving one. They clashed from the beginning: Peggy, the horse-crazy tomboy, and Thelma, a genteel controlling mother, committed to raising two refined, ladylike daughters. When major league baseball came to town in the early 1950s and turned sophisticated Thelma into a crazed Baltimore Orioles groupie, nobody was more surprised and embarrassed than Peggy. Life became a series of compromises–Thelma tolerating a daughter who pitched manure and galloped the countryside, while Peggy learned to tolerate the whacky Orioles fan who threw her underwear at the TV, shouted insults at umpires, and lived by the orange and black schedule taped to the refrigerator door.